The agency’s campaign plan will focus on key seasonal peaks in sales – Valentine’s Day, Father’s Day and Christmas – through male-centred consumer media. Popcorn will also target some elements of the female-centred press because of research suggesting that more than 90 per cent of household shopping is done by women. The brewer, Greene King, is not believed to have invested in consumer PR for the brand before, though it appointed Mason Williams to a wider brief in 2002. The agency hopes to drive awareness of the brand among an emerging audience of younger ale drinkers while retaining its core audience. Katie Harrison, marketing controller for the Old Speckled Hen brand portfolio, said: "We were impressed with Popcorn’s creativity and its focused response to the brief we had given them." Popcorn will also be working with a range of other agencies, including brand specialists and advertising experts, for an end-of-year brand refresh of the three ales in the Speckled Hen range, including changes to packaging and an addition to the range. 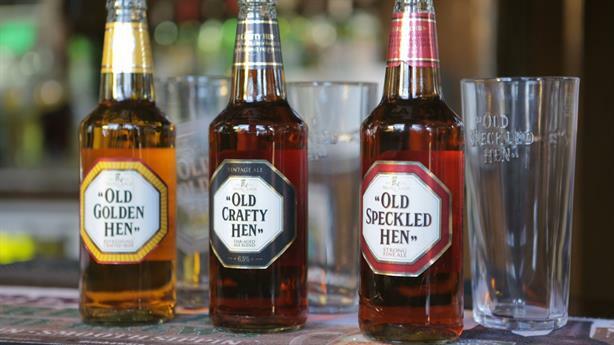 Louise Lloyd, Popcorn’s founder, said: "With such a rich heritage and distinct British humour, the Old Speckled Hen brand lends itself brilliantly to creative campaigns with genuine cut-through."